Jääportit’s first releases “Kauan Koskematon” and “Halki Lumisen Metsän” will be re-released as CD by Old Captain/Faust in August 2018! Two cult recordings from 1998 to 1999 of pure Nordic beauty for the first time on CD. Icy frostbitten portals of the early years are now once again open! 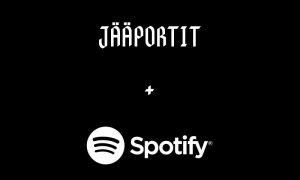 Jääportit is a Finnish dark ambient / neoclassical project centered around Tuomas M. Mäkelä and has been active since 1997. 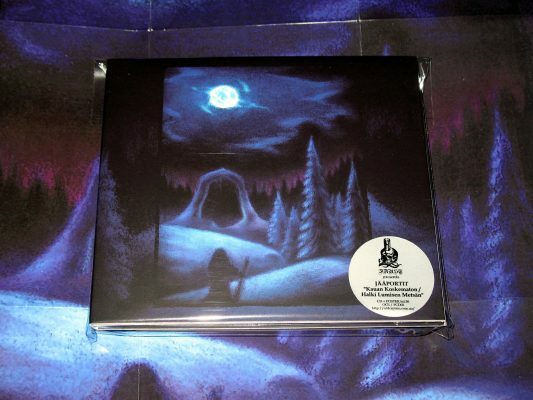 ‘Halki lumisen metsän’ material is minimalist alike Mortiis, ranging from deep, cloud-like drones to almost oppressive militaristic percussion and harmonies, while ‘Kauan Koskematon’ is majestic yet mournful, a forever milestone in dungeon synth winter epic tradition of the 1990s’. 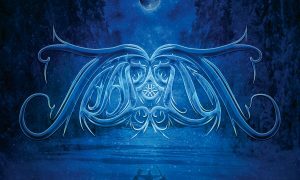 Calm and tranquil yet bewitching and mesmerizing winter ambient. 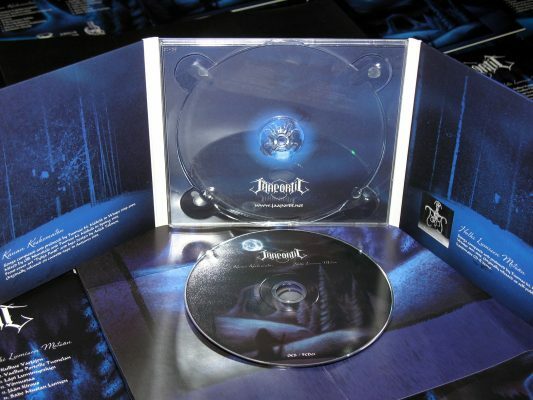 A 6-panel gloss-laminated Digipak with original images including the front cover by Aslak Tolonen (Nest). 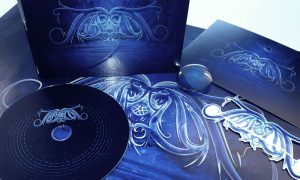 Limited edition of 300 copies. First copies comes with an exclusive front cover A3 folded poster. Order yours from Jääportit webshop or Old Captain’s bandcamp! Album review written by Roger Batty, musiquemachine.com 2018. 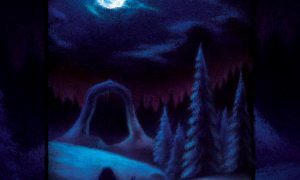 Here we have a CD reissue of two late 1990’s examples of dungeon synth/ fantasy focused dark ambience from Finish project Jääportit. This is one of the first batch of releases on Faust- the new dungeon Synth sub-label of respected Ukraine based post-industrial label Old Captain- and I must say I’m most impressed by the sounds within, and the releases packaging- so I’m most looking forward to checking out more from Faust. 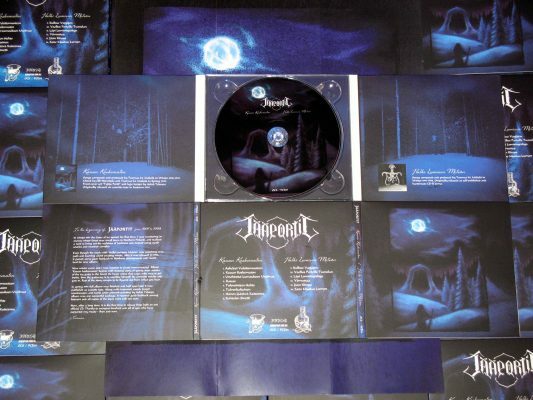 The CD comes in a dark blue 6-panel matte-laminated digipak- which features original cover artwork of a human figure standing under a watering moon, near a grand dark forest & ice arch. 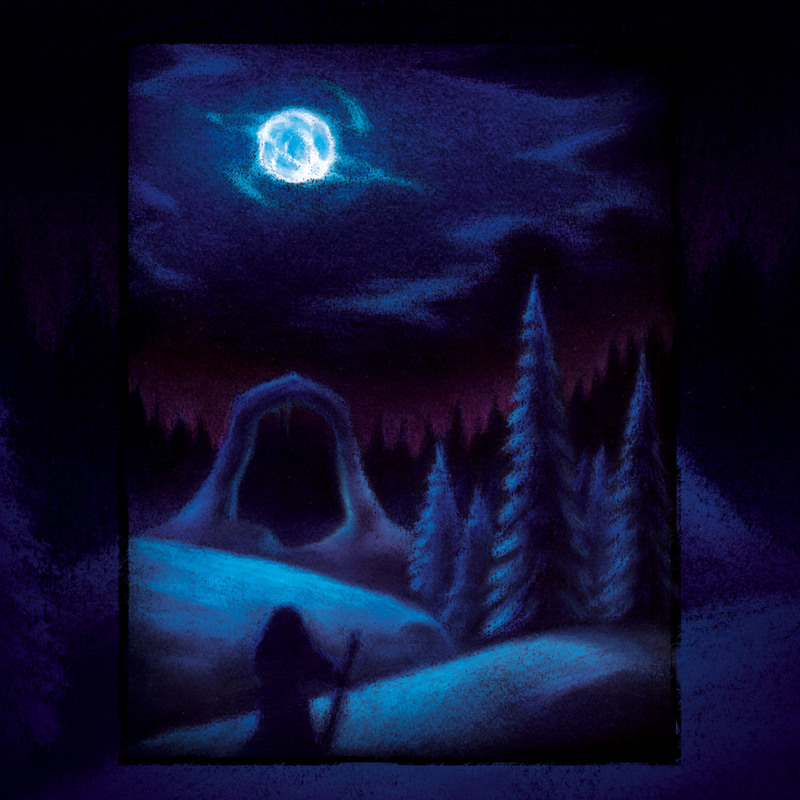 We also get write-up about the two releases, & moody pictures of snowbound nighttime forests. It comes in an edition of 300 copies, and the first 50 copies come with an exclusive fold-out poster- not sure if these are still available, but either way, it’s better to act sooner than later. The sixty-eight minute CD takes in the first two releases from Jääportit- 1998’s Kauan Koskematon, and 1999’s Halki Lumisen Metsän- both these were originally released in cassette form, and of course are long out of print. First up we, of course, have Kauan Koskematon, and it’s eight tracks. And from the outset you know your in for a dramatically classy ride with the opening track “Askeleet Valottomuuteen”- which finds a darkly regal melody fed out via a blend of darkly lush synth strings swoons, brightly darting harmonic ambience, & gentle bounding militaristic rhythms- all of which is enhanced by subtle embellishments of epic striking bell tones & darkly moody male spoken word elements. As we move through the first release we get a fair amount of variation- going from eerier & elegant paino lined neo-classical ambience of “Unohdetut Lumouksen Unelmat”. Onto bright & mysterious meets broodingly & epic synth & light beat pulse of “Tulensinisen Hohto”. Though-out Kauan Koskematon- there’s a real focus on creating memorable, yet moody melodies, as well as the skilfully utilizing different synth tones & subtle embellishments to enhance the atmosphere of the whole thing. Next up we have of Halki Lumisen Metsän- and its six tracks. This release highlights often a more layered, shifting, and complex sound. We go from light oriental-tinged vibe flightness to blackly grand orchestrated of the first track “Kulkue Varjojen”. Onto the simmering, doomed & pared back bass synthy crawl of the track “Jään Kirous”, which later features dramatic black string swoons. Onto the building “Jään Kirous” with it’s opening sprightly string dart, and later bounding militaristic percussion & orchestral swoon. On the whole, I’d say there is more of a neo-classical leaning to this second release- but once again you can hear there’s been a lot of thought put into blending together memorable & dramatic melodies, along with good understanding of what sounds & settings go best together. 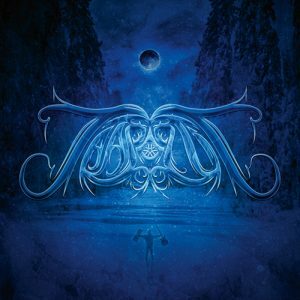 In the last few years the dungeon synth/ fantasy focused dark ambient genre has become more than a little overpopulated, and to be fair much of what I’ve heard is not great- as it often over stretchers ideas, has little or no variation, and frankly lacks both class, depth & authenticity. So it’s marvelous to see releases like this doubleheader coming out, as it really is a classy example of how the dungeon synth genre should be done.